for automating your purchase processes. The basis package consists of Orders, Workflow, Communication and Analytics. 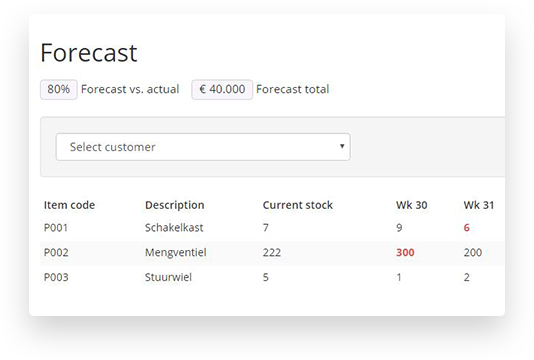 As a buyer, you can share purchase orders directly and automatically from the ERP system through Tradecloud to your suppliers. Suppliers can then confirm the orders by number, price and delivery time. Changes are directly adapted to the ERP system. Suppliers are kept informed of what’s still open. Everybody looks at the same information. 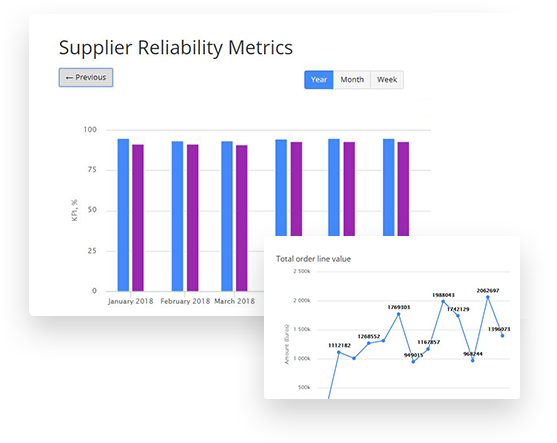 Realize real-time insight in the supply chain so you can focus on the exceptions. 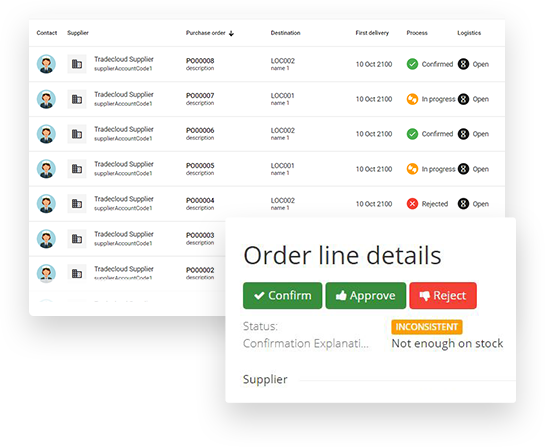 Some examples include: delivery reliability, order status, order volumes and order values. 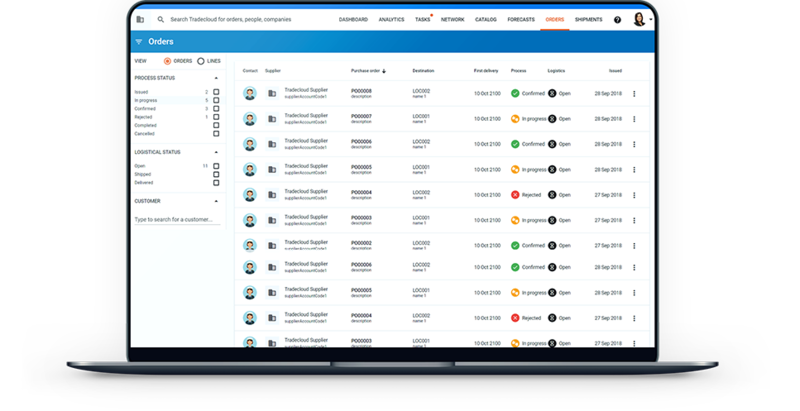 Have access to scheduled deliveries from suppliers including track & trace information. Realize a better (JIT/Lean/QRM) planning for the production and/or warehouse. Announce and schedule deliveries by suppliers. Get insight into expected deliveries, including packing slips, freight letters and specifications. Buyers and vendors both have access to the same article information. 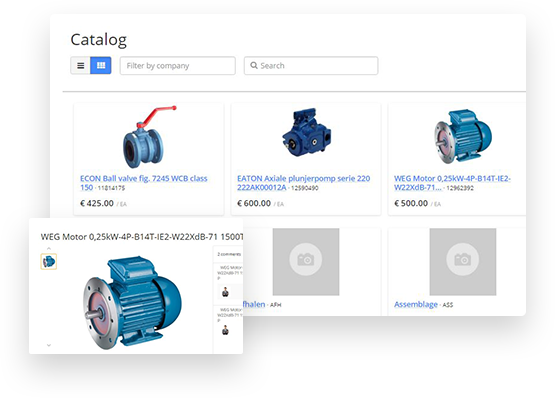 Prices, delivery times and any CAD specifications are available in real time for all parties involved. A central overview of all item master data causes fewer errors. Suppliers have access to their own data and can customize them.